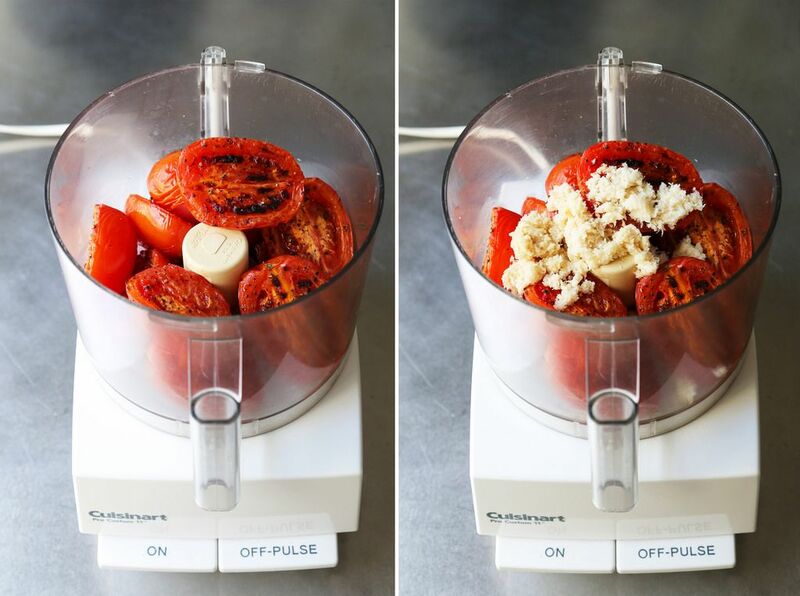 Today: Brandon Matzek of Kitchen Konfidence uses roasted tomatoes and fresh horseradish to give a tired appetizer a wake-up call. Shrimp cocktail is a party appetizer I both love and loathe. When I think of shrimp cocktail, the words that normally come to mind are tired, clichéd, and uninspired. Then again, whenever shrimp cocktail is served at a party, you’ll find me greedily hovering over the hors d'oeuvres table, repeating a motion I like to call the “dunk and eat.” A few minutes later, the only thing left on the plate is a pile of cleaned shrimp tails. More: Set your shrimp on fire -- literally -- with this recipe for Flamin' Cajun Shrimp. Shrimp and cocktail sauce is a timeless, undeniably delicious combination, but it needs a burst of innovation and originality. So I’ve given this appetizer a little makeover, starting with the cocktail sauce. The classic cocktail sauce ingredients are ketchup, prepared horseradish, lemon juice, hot sauce, and salt. 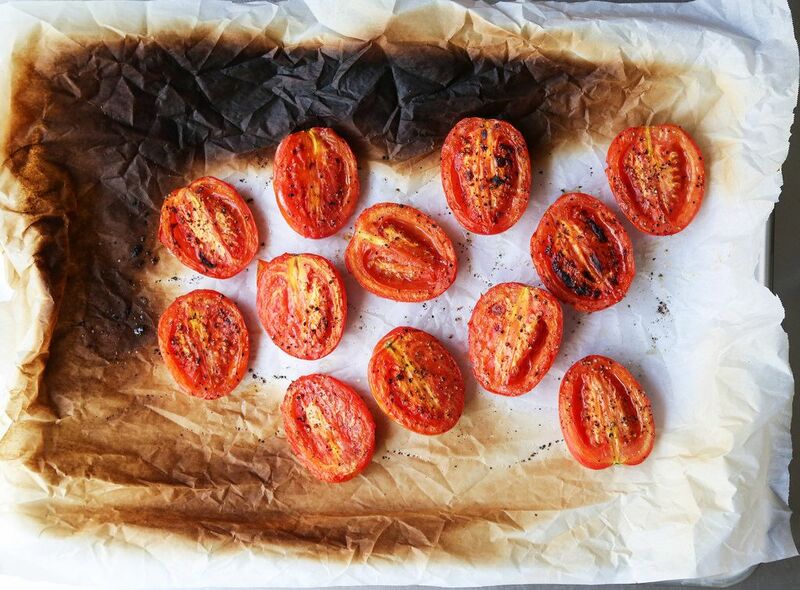 Instead of using raw tomatoes, I torch a tray of halved tomatoes until they’re soft and slightly charred, intensifying the flavor and adding a note of blackened smoke. 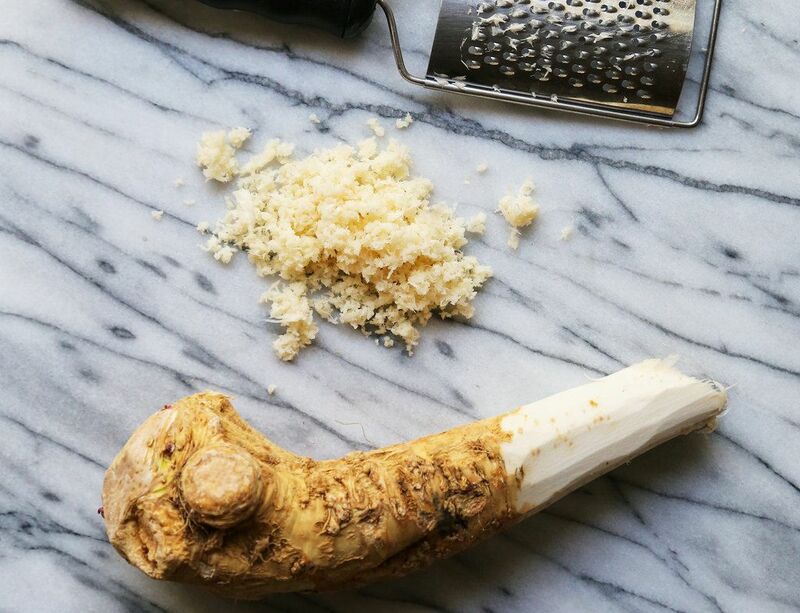 Then, I add a combination of freshly grated horseradish root, which provides aroma and intense heat, and prepared horseradish. Finally, I add some Worcestershire sauce to amp up the umami factor and honey to balance everything out. More: Learn how to peel and devein shrimp as painlessly as possible. 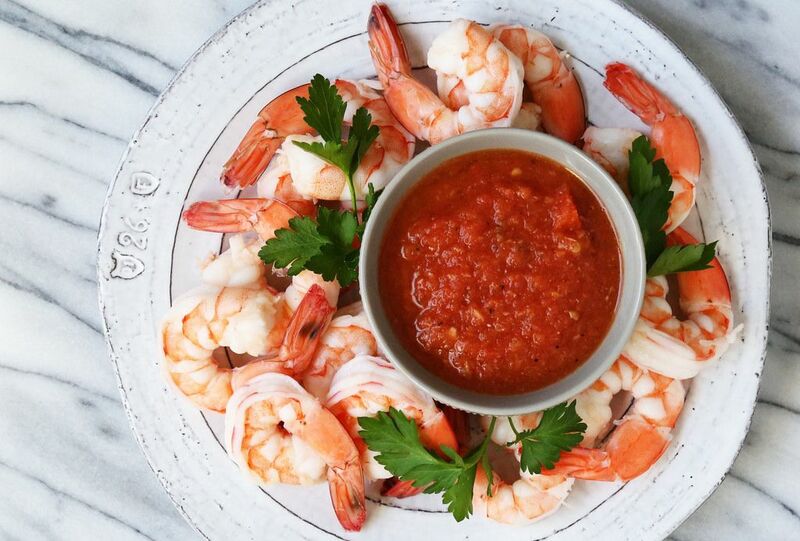 What I love the most about this sauce is that it allows the flavor of the shrimp to come through, giving the crustaceans a chance to be more than just a sauce delivery system -- I like to roast them or boil them with lemon and bay. Preheat the broiler to high and line a rimmed baking sheet with parchment paper or foil. Place the tomato halves cut side-up on the prepared baking sheet. Brush the tops of each half with olive oil, then sprinkle them with kosher salt and black pepper. Broil on high until they're soft and slightly charred, about 10 to 15 minutes, then let them cool completely. 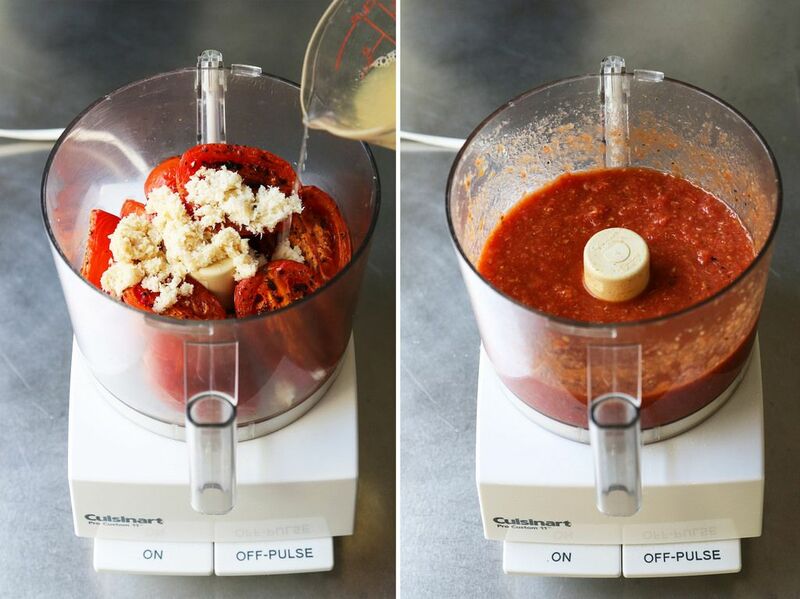 Add the tomatoes, grated horseradish root, bottled horseradish, lemon juice, Worcestershire, Tapatío, honey, and a couple pinches of salt to a food processor. Pulse several times until the mixture is slightly smooth, but some texture remains. Season to taste with additional kosher salt, black pepper, or lemon juice. To serve, place a small bowl of cocktail sauce on a plate and pile cooked shrimp around it. Garnish with parsley leaves.